A lot of really smart people in technology took Confucius advice, "Choose a job you love and you will never have to work a day in your life." We believe that RPA will be a game changer and that automating repeatable, simple tasks will free up employees to do higher-value work. By and large the people you encounter in the military and Defense are smart, dedicated, and honest. They are haunted by the specter that the equipment they procure may result in the death of American servicemen. If you have a product that can save lives, then you might just have yourself a sale. "I've worked a long time to make this happen and am very pleased with the results. 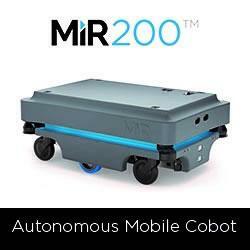 It enables investors everywhere to capitalize on the accelerating growth and promising future of robotics." Frank Tobe, Co-founder, Robo-stox LLC and Editor/Publisher, The Robot Report. There has to be some way to separate the wheat from the chaff, the frivilous/worthless lawsuits from the honest patents based on hard, sweaty creative efforts that deserve protection. Can robots find the hidden treasures of history? In the future, an autonomous archaeological robotic excavation system could be deployed in these and other extreme landscapes. The design of the robotic system, including its instrumentation and motion controls, descends directly from the fields of medical and construction robotics. There has been a lot of gossip and more serious discussion within the healthcare devices industry about patents, their use in marketing strategy, their hindering product development, and their true value as intellectual property (IP). Our vision is that GRIP will serve as the central hub of the Upper Midwest robotics industry. The robotics industry offers a compelling regional economic development opportunity for the Upper Midwest. There are now more connected devices in this world than dollars in the deficit. And the definition of success in business has changed from closed shops to standard modular construction and software that allows all sorts of players to add to the core products that are built. Sometimes a company is founded because it stumbles upon a niche that it can fill better than any other company. Such a company is RE2 (Robotics Engineering Excellence). Founded by Jorgen Pedersen as a contract engineering house to fill a need for unmanned systems engineering expertise within Carnegie Mellons National Robotics Engineering Center (NREC), RE2 now provides mobile manipulation systems for defense and safety.